Union Pacific Railroad is closely monitoring their tracks, hoping the water recedes soon. KANSAS CITY, Mo. 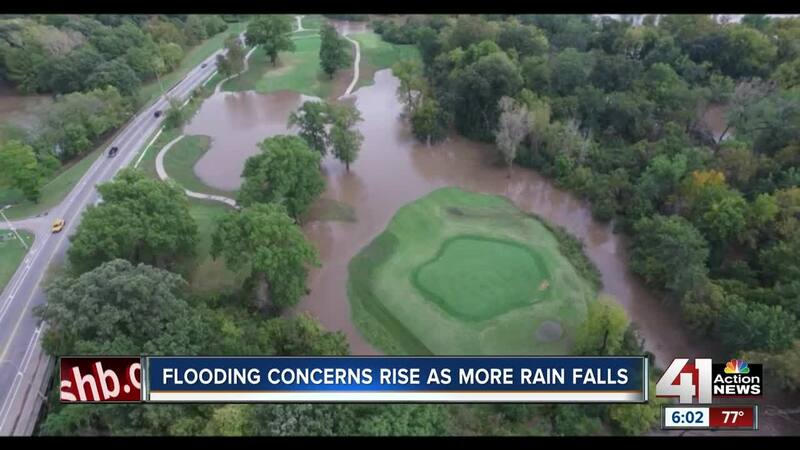 — Heavy rain Monday morning in the greater Kansas City area caused serious flooding at area parks, golf courses and even on some railroad tracks. A mini lake formed after the rain at the Swope Park Off Leash Dog Park on Gregory Boulevard near the Blue River. Some Union Pacific railroad tracks were also submerged in floodwater. Jeff DeGraff, a Union Pacific spokesperson, said Monday that train traffic on the submerged rail lines has been stopped. The trains are parked and waiting for the water to recede. Once the water levels go down, railroad inspectors will check the line to make sure the tracks are still stable. Once those officials give the all-clear, train traffic will resume. Flooding also interrupted some golf games at the Heart of America Golf Course on Blue River Road. One of the greens was completely surrounded by water. Dog owners at the Swope Dog Park said an unexpected lake formed after the rains, covering green space and a wooded area. 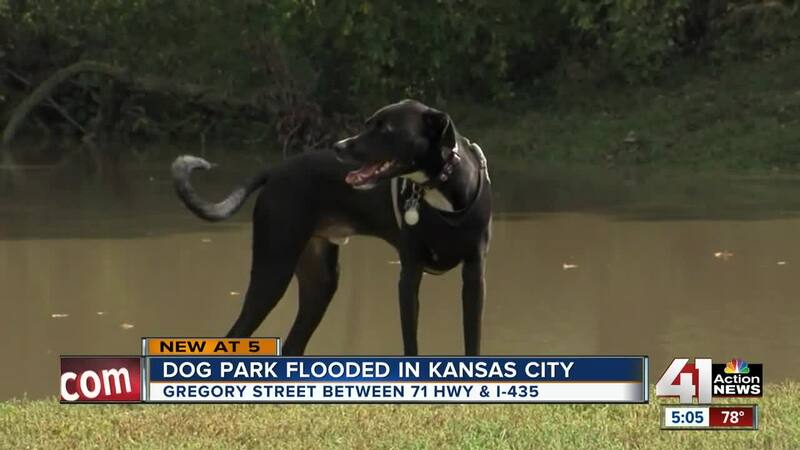 Dog owners, golfers and Union Pacific officials were all hoping that once the next round of rain stops in Kansas City, the water will recede and business can get back to normal.